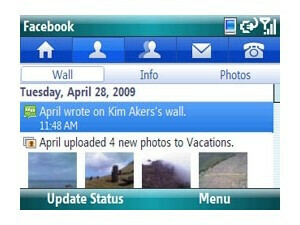 Microsoft has just released its Facebook application for Windows Mobile. While this pretty much says it all, let´s delve a bit deeper into the functionality of the new program. It allows you to tag photos, send messages and calls to every person you have in your Friends list, capture photos and videos and immediately upload them to Facebook. Of course, managing your profile while away from your computer has never been easier on a WM phone. As a whole, it resembles the BlackBerry version of the app, which is quite better than the mobile version of the site, but there’s still enough space for improvement. 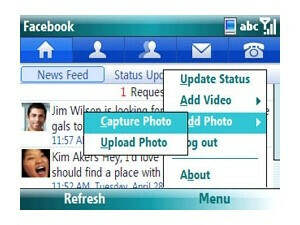 The Facebook application should work on every Windows Mobile 6.x smartphone, so if you have one, as well as a passion for the social online phenomenon, download the app from here. looks better than the fb app for my storm! Tried it out today on my Omnia. I was able to upload photos, change my status, and do some basic stuff. Oddly enough, I couldn't view the photos I recently uploaded, go figure. At any rate, it beats using Skyfire to upload or connecting to my computer.